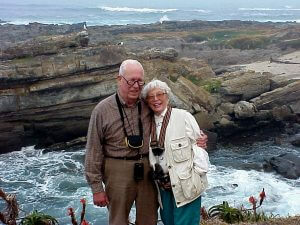 This fund was established in loving memory of J. Walton and Anne E. Grandy III. The Grandys were lifelong residents of the Tidewater area, and they were passionate about the humane treatment of all living creatures. 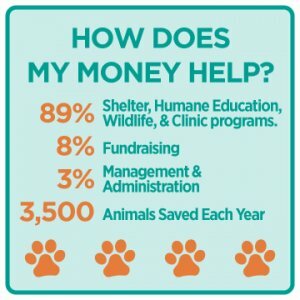 Through this fund, the VBSPCA is able to continue its life-saving work with wildlife while also educating the children of our community on how to be caring stewards of the earth, which includes caring for all creatures, both wild and domestic. Each year the VBSPCA receives more than 1,500 wildlife animals at its shelter. Our wildlife team diagnoses, treats, and either transports orphaned and injured wildlife to licensed rehabilitators or releases rehabilitated animals back into the wild. This life-saving work has been done since 1999. The organization’s 24 hour referral line handles an additional 2,225 calls each year from concerned citizens. 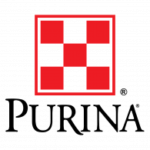 The VBSPCA’s Humane Education department provides hands-on, standards-based humane education programs that enrich the human/animal bond and teach compassion for all living things. “Compassion Classroom” education is offered free of charge to Hampton Roads’ public schools and is currently provided in partnership with 52 public schools in Hampton Roads. Humane Education programs also include camps and workshops, all together reaching 10,000 students each year. Thanks to the Grandy Wildlife and Humane Education Fund, the VBSPCA can match donations to provide ongoing humane education and wildlife care to Hampton Roads. You can support this campaign all year long, and make sure to check out our website and social media pages as we highlight stories from our VBSPCA wildlife and Humane Education teams. To contribute to this campaign and support out wildlife and humane education initiatives, fill out the form below.